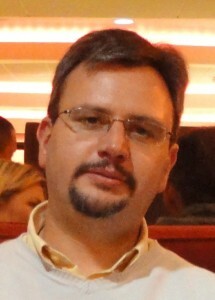 J.-F. Lampin received the Engineering degree from the Institut Supérieur d’Electronique du Nord, Lille, France in 1994, and the PhD degree from Lille University in 1997. 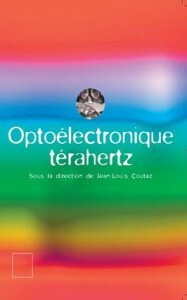 He was a post-doctoral researcher with the Laboratoire d’Optique Appliquée, Palaiseau France, where he was involved in the study of electron relaxation using pump-probe techniques based on femtosecond lasers. Since 1998 he has been a Research Scientist with the Institute of Electronics Microelectronics and Nanotechnology (IEMN), Villeneuve d’Ascq, France. Since almost 20 years his research interests include terahertz (THz) generation and detection, subpicosecond lifetime semiconductors, THz optoelectronic generation, THz antennas, THz communications and THz lasers. He has co-authored 80 publications in peer-reviewed international journals and holds two international patents. He was involved in several ANR project (ARTEMIS, HITEQ, NANOSCANNER, WITH OSMOTUS, MILLIPRISM, COM’TONIQetc…) and European projects (ITN MITEPHO). A. Pagies, G. Ducournau, J.-F. Lampin, “Low-threshold terahertz molecular laser optically pumped by a quantum cascade laser”, APL Photonics 1, 031302 (2016). E. Peytavit, S. Lepilliet, F. Hindle, C. Coinon, T. Akalin, G. Ducournau, G. Mouret, J.-F. Lampin, “Milliwatt-level output power in the sub-terahertz range generated by photomixing in a GaAs photoconductor”, Appl. Phys. Lett. 99, 223508 (2011). G. Ducournau, P. Szriftgiser, T. Akalin, A. Beck, D. Bacquet, E. Peytavit, J.-F. Lampin, “Highly coherent terahertz wave generation with a dual-frequency Brillouin fiber laser and a 1.55 ìm photomixer”, Opt. Lett. 36, 2044 (2011). G. Ducournau, P. Szriftgiser, D. Bacquet, A. Beck, T. Akalin, E. Peytavit, M. Zaknoune, J.-F. Lampin, “Optically power supplied Gbit/s wireless hotspot using 1.55 ìm THz photomixer and heterodyne detection at 200 GHz”, El. Lett., 46, 1349 (2010). N. Chimot, J. Mangeney, L. Joulaud, P. Crozat, H. Bernas, K. Blary, J.-F. Lampin, “Terahertz radiation from heavy-ion-irradiated In0.53Ga0.47As photoconductive antenna excited at 1.55 µm”, Appl. Phys. Lett., 87, 193510 (2005).